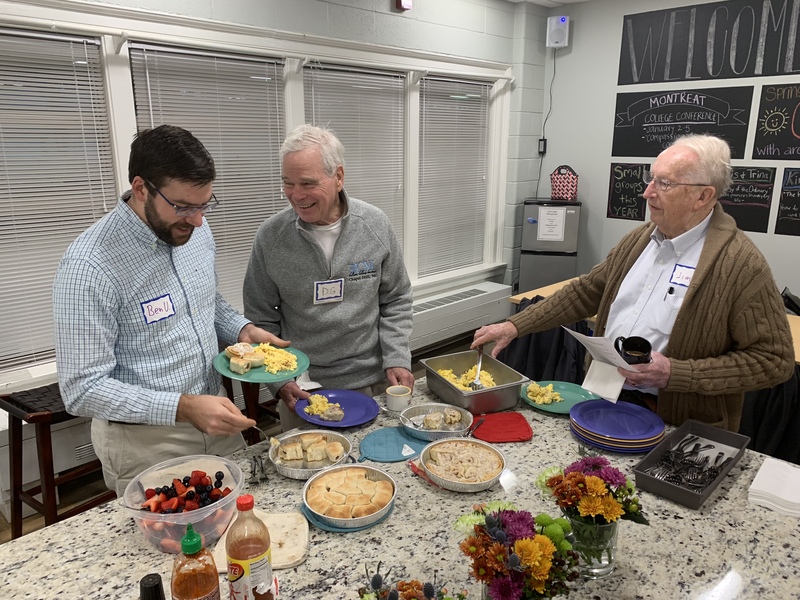 The Men’s Breakfast group meets every first and third Monday of the month throughout the program year (with a few exceptions). This is a fellowship opportunity for the male members of UPC to gather for an engaging hour of fellowship and meaningful conversation. A delicious breakfast and coffee will be served. For questions about the Men’s Breakfast at UPC or for more information, please contact Cole Van De Water at colevdw@gmail.com. Ben Urick, DG Martin, and Jim Bryan enjoying breakfast at UPC! April 9 and April 23 – Gene Rogers: Thomas Merton. Please note that these are the 2nd and 4th Mondays of the month. Preparation for Gene’s talks: Read Thomas Merton’s book: Seven Storey Mountain – his autobiography. John Rogers has books by mailboxes in the office. Cost is $10, and you may pay John. August 20 – Jim Snapper. September 10 and September 17 – Dave Moreau. October 1, October 22, and October 29 – Ben Urick. November 5 and November 19 – John Falleta. January 2019 – Dan Redwine. Schedule TBD.